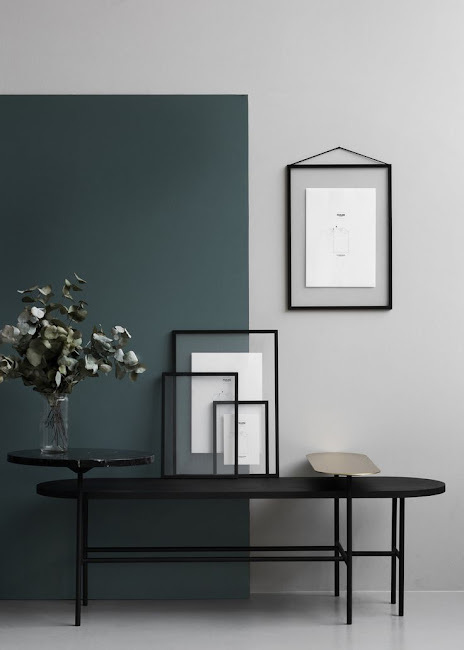 As Star Wars: The Last Jedi opens this week we thought we'd join the Dark Side and look at interiors that opt for a darker shade, whether it be on the walls or as part of your decor. Darker, richer tones, when used correctly, can transform your space from something sterile and cold into a warm cavernous sanctuary. They can hide a multiple of sins, add much-needed elegance and pull together any eclectic arrangement of furniture together. 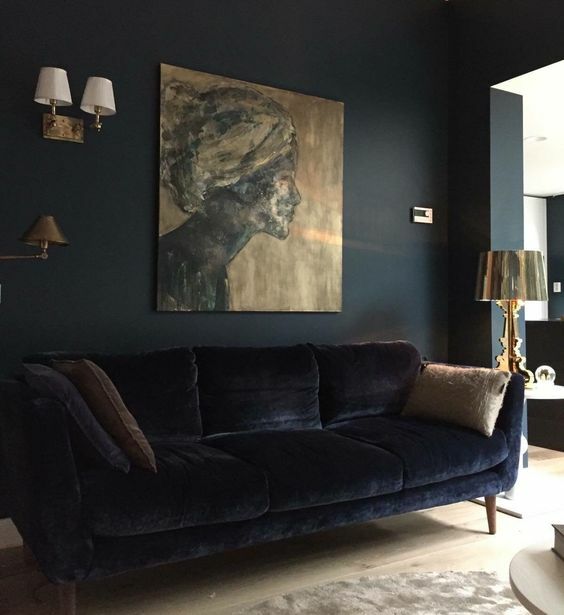 Don't be intimidated using dark paint or soft furnishings just because the colour can be thought of as overwhelming and gloomy but if used correctly, they can make a bold and dramatic statement. Firstly, stop thinking dark colours immediately mean a depressing cave-like space. Avoid this by ensuring you select tones which aren't flat or neutral, instead opt for a Midnight Blue, Burgundy, Forest Green or Teal. These colours reflect their richness when the available light bounces off them, unlike black or greys which tend to absorb any natural light, though you can even get an Onyx Black which has a gorgeous reflective sheen if you want to go even darker! It's rare but sometimes you need a dark interior as too much light is an issue. A bedroom for a light sleeper is a perfect example. To avoid the 'Goth' or 'Photographers Dark Room' look, ensure your furniture and soft furnishings are full of complimentary colours and textures which are lighter and break up the vast black hole your dark walls will create. Doing this will help draw the eye and offer a focal point to your room too. We transformed a bedroom during a recent project and opted for golds, leather cushions, and dark satin bed linen while using a Charcoal Black from Fired Earth. If you’re still in two minds about joining the dark side, having one or two complimentary walls is a great compromise and way of framing your space. This is the perfect solution to making a large room look smaller too and you can opt for the more neutral darker colours too if your decor relies on a less imposing colour scheme. Don't forget the smaller elements to your interiors, as vintage brass light fittings and lamp fixtures, mahogany or walnut picture frames, painting the skirting board, and stained floorboards can all bring a dark room together add a touch of elegance to a darkened room. 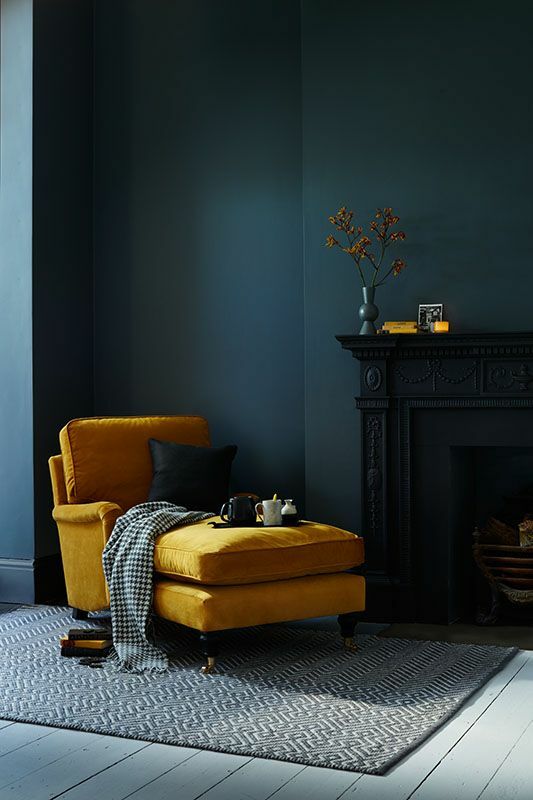 As you might have noticed velvet is still very popular so why not invest in a decadent velvet sofa, we particularly love opting for a statement piece within your home. You can find an assortment of fabulous velvet furnishings at Maisons Du Monde.